Another hot and humid day, with more sun than clouds. 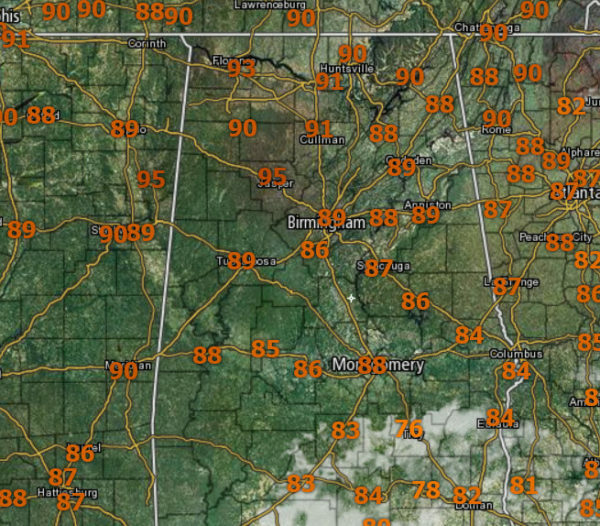 Temperatures this afternoon are in upper 80s to lower and mid 90s and factor in those dewpoints in the 70s, and it is just downright uncomfortable across Central Alabama. 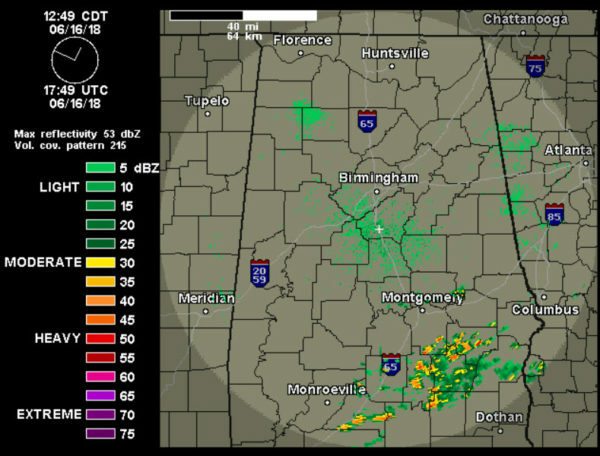 We are watching the radar for our daily round of showers and storms, but at just before 1PM, not much is showing up in our part of the state. The greatest coverage of rain and storms today is across South Alabama, but we are still expecting to see showers and storms in our part of the state. FOR TONIGHT: Isolated to scattered showers and storms are expected overnight. Patchy fog will be possible especially in locations which see rain today. Lows will be in the lower 70s. FOR FATHER’S DAY: We will forecast a mix of sun and clouds with scattered to numerous showers and thunderstorms, most active during the afternoon and evening hours, but with such a moist air mass in place, we can’t totally rule out a late night or morning shower or storm. Highs tomorrow will be around the 90 degree mark.